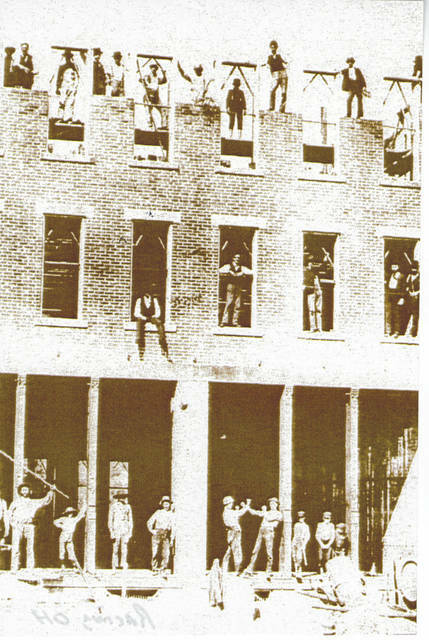 Building the larger store in 1892. These words could sum up the legacy the Cross Family businesses gave the people of Sutton Township, and all of Meigs County, and it lasted into the 21st century until Cross’ Sons Grocery went out of business. 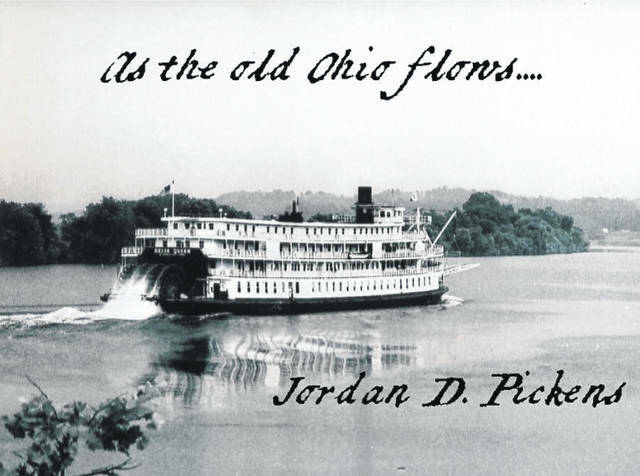 At that time, not only did the longest-operating business in Meigs County close, but so did one of the oldest businesses in the Northwest Territory. Lucius Cross was born Dec. 30, 1798, in Mansfield, Connecticut. By the time he was three years old, he had been orphaned and was then brought to Marietta, Ohio, where he grew to manhood on a farm. It is said that his stepmother stole his inheritance and used it to educate her own son, John Brough, who later became the 26th Governor of Ohio from Jan. 11, 1864 to Aug. 29, 1865. 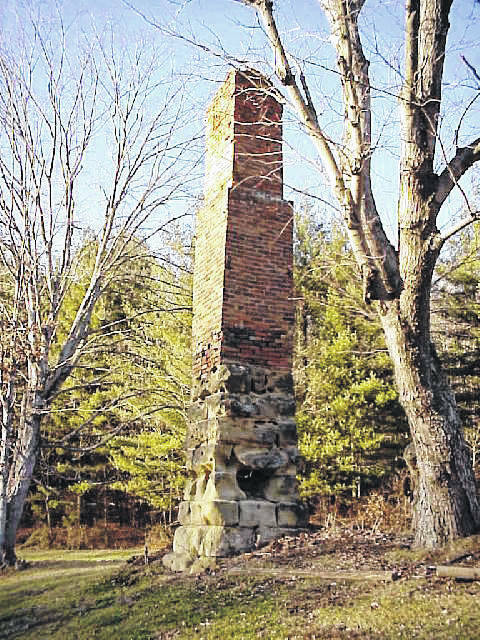 In April of 1822, Lucius married Thirza Stanley, daughter of Washington County’s Timothy Stanley, and the couple came directly to Meigs County, settling on lands in back of Graham’s Station, what is now Racine. 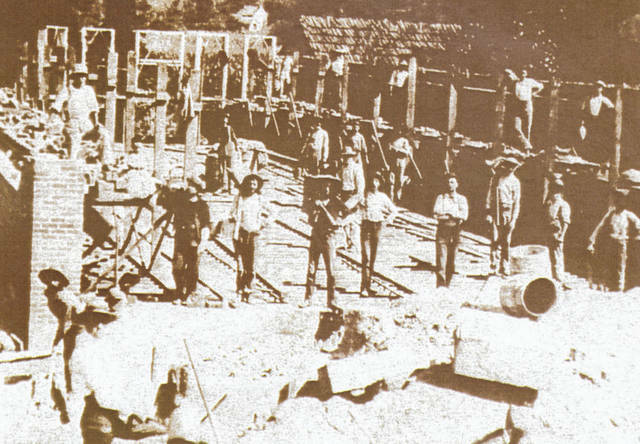 In 1823, Lucius built a log cabin to live in, prepared his land for cultivation, and built a tannery on his farm. Lucius Cross went on to open a trade in the South, boats loaded with pressed hay and farm products, and due to his many different industries and diverse interests, he gave employment to numerous men. In 1832, he built his large, spacious farm house. According to Larkin’s Pioneer History of Meigs County, Mr. Cross was said to be “a real temperance man, and suffered no whisky to be brought to his premises, and his farm house has the record of being the first building erected in Meigs County without whisky or any intoxicating drink.” The house, considered the best in Meigs County, was noted for its beauty in construction and location. 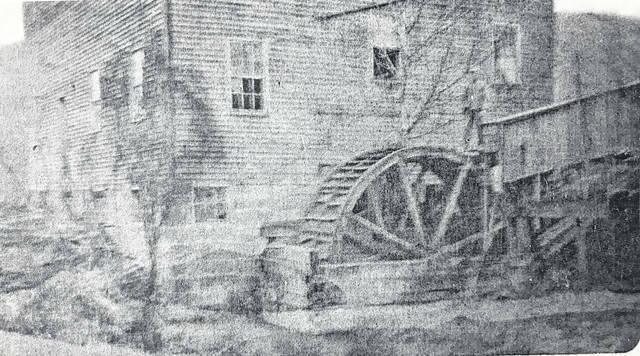 In 1836, he erected a saw and grist mill on Bowman’s Run and founded The Racine Woolen Mill which built flatboats on the river at Graham’s Station. Lucius had his timber all utilized for lumber, cordwood, or tanbark. 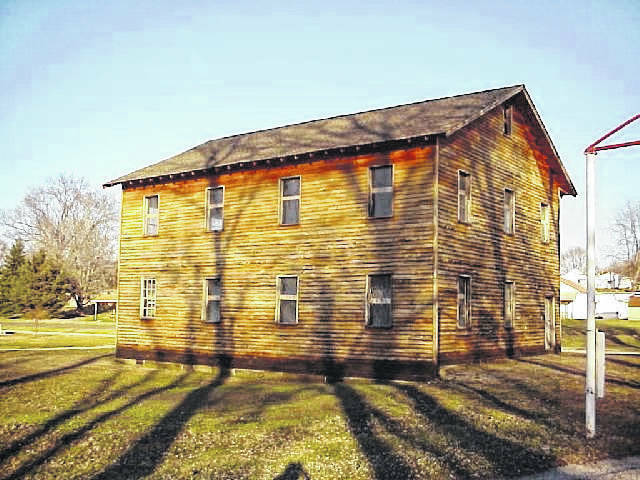 The mill was built from lumber cut and sawed at Lucius’ water-powered saw mill on the farm. The mill was 28 feet x 40 feet and was a three story structure that included a basement. The mill stones used in the mill, each weighting one ton, were made underground in France and then shipped overseas to Cross. In 1840, Lucius and Thirza built and established a trading post on their Bowman’s Run farm to provide accommodation to those that they employed. 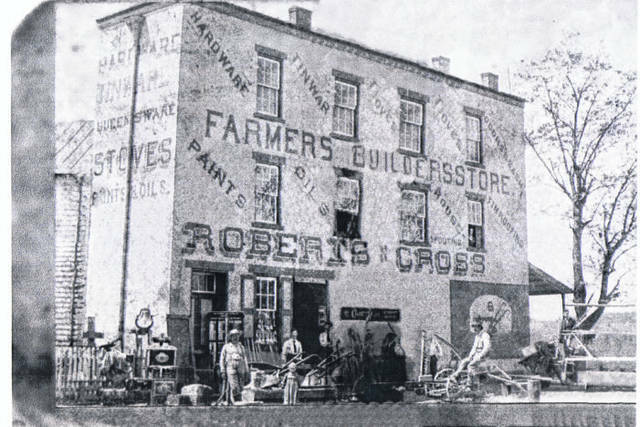 In 1860, they built a store in Racine which opened shortly before the first shells fired upon Fort Sumter, bringing on the beginning of the Civil War in 1861. It was here that Lucius’ son Waid began his career as a merchant. Lucius had some military knowledge and drilled recruits for the Union Army. 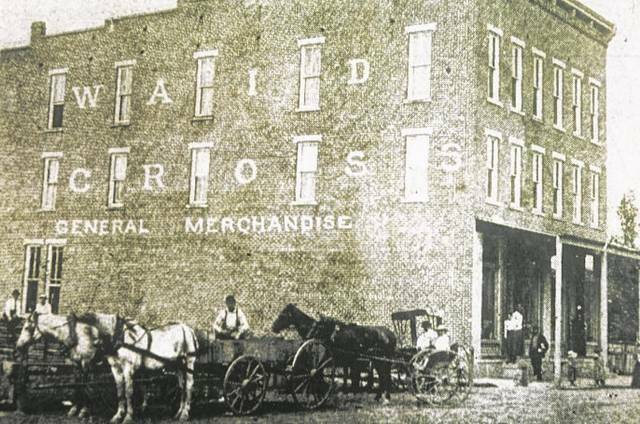 To meet rising demands, Waid decided to build a larger store in 1892 across the street from the original two story building in Racine. This unoccupied structure still stands today at 414 Pearl Street. The following 20 years proved to be flourishing times for Waid; with the new building came an additional new business venture and partnership for Waid. 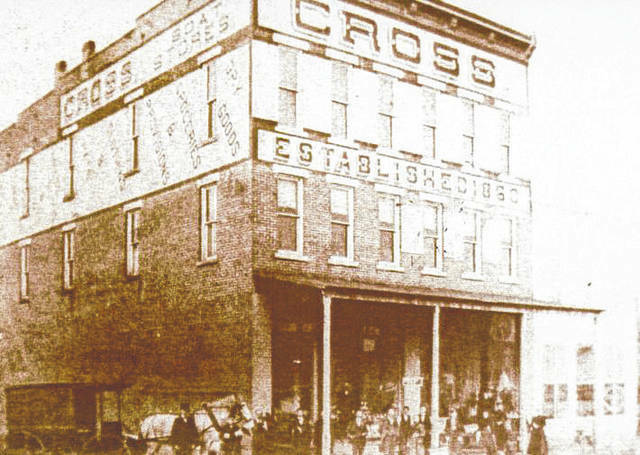 Charles, Waid’s third son, and Waid’s son-in-law Dale R. Roberts established a hardware store in the former Cross’ store that sat across the street from the new grocery store. Before Waid died on February 18, 1912, his daughter, Electa May Roberts and son-in- law Dale entered into a conspiracy on or about May 10, 1911, for the purpose of uttering and publishing certain deeds to several tracts of land belonging to Waid Cross. The resulting trial was very expensive and left very little room for continued growth. After Waid’s death, his sons Stanley and John became owners of the store. This partnership continued until Stanley Cross’ death on November 5, 1941. 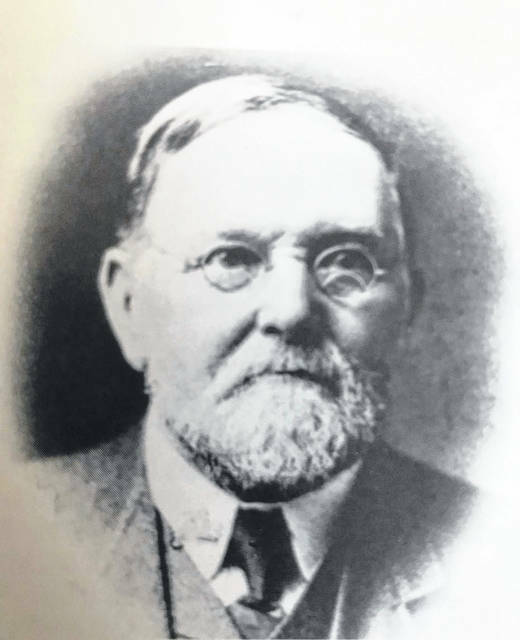 Stanley’s 50 percent interest in the business was willed to his two sons, John Dillon “Dee” Cross and Miles S. Cross; this put the business into a three-way partnership with John owning 50 percent and Stanley’s sons each having 25 percent interest. John decided to retire in the early 1950’s and the store became sole property of Dee and Miles. Miles died June 10, 1956, and his wife Elsie inherited his half of the business. Two years later Dee purchased Elsie’s 50 percent of the store to become the sole owner and then brought his son William S. “Bill” Cross in to help operate the business. In 1968, Bill Cross became the sole owner and operated the business until it closed in June of 2000. Bill is the great-great-grandson of Lucius and the last son in direct succession to own the store.